City icon set. Vector icons pack - blue series. 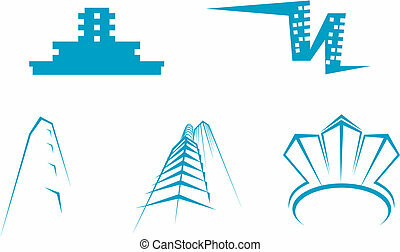 Vector symbols of popular structures. Modern design elements easy to edit and compose. 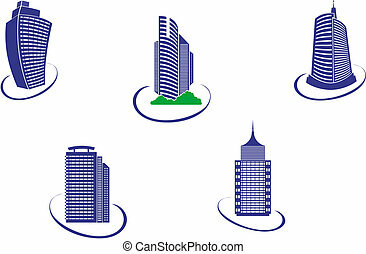 Skyscraper city icon set. Colorful icons collection for modern city skylines.